The parade of late Victorian shops down Myddleton Road has a distinctive character but by the ‘80s had gone into serious decline. Gradually the street is beginning to be reborn and has an active local community. Musicians Nick & Haley bought the building from the owner who had lived in the family-run shop since the 1930s. The building had collapsed around him and the shopfront was barely intact, but it retained strong elements of its original character, notably a much written-about display of decaying men's underwear; the faded goods even starring in a short film. The building has been transformed into a family home and the shop retained. The shop is now used as a community resource for yoga classes, toddler groups and even as a polling station. The client’s brief for an eco-house has been met by focusing on energy efficiency, in particular the building fabric. 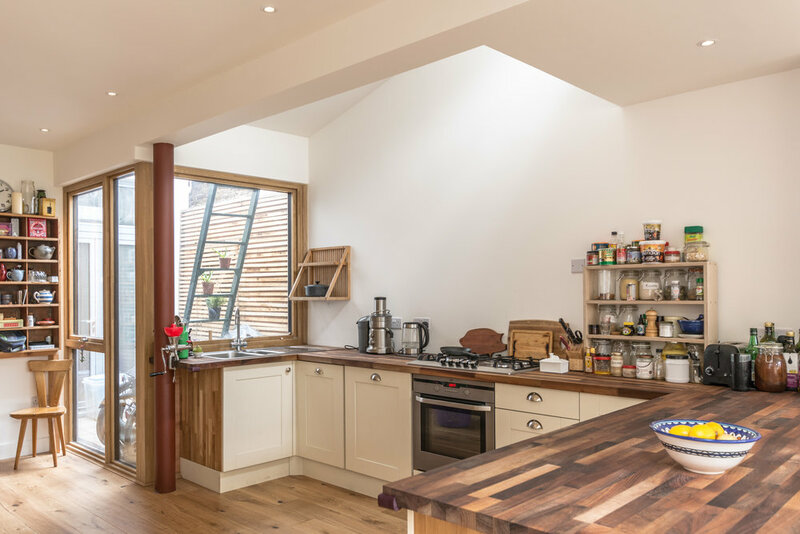 The project was modelled using Passivhaus DesignPH software and every detail carefully considered to ensure the finished house is seamlessly insulated. The new rear extension was built in lightweight timber frame construction with an outer skin of rendered wood fibre insulation. A green roof to the extension will slow run-off of rain and provide an attractive and biodiverse view from the house and neighbouring properties. 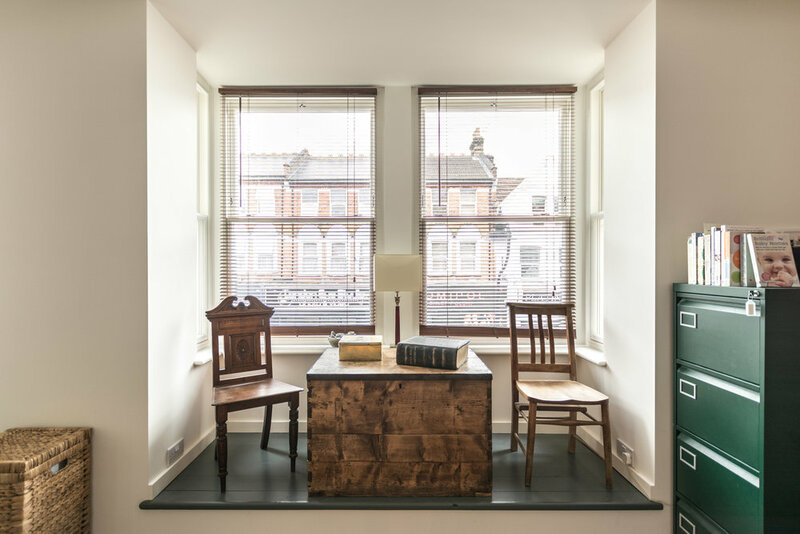 The house is continuously and quietly supplied with fresh, filtered air using an MVHR system. This provides high levels of comfort and efficiency bringing the house close to Passivhaus standards. Natural ventilation was also deeply integrated into the design with manually opening windows and rooflights providing excellent through ventilation when required. All windows have been replaced with high performance triple glazed units, including the traditional sashes to the street elevation. Bow Tie Construction were selected to build out the project, bringing their extensive experience of low energy construction and services design to the project. Structural Engineering by Harrison Shortt. Removing the painted glass shop sign for repair, we found an even older hand carved hardwood sign. A single piece the full width of the frontage with letters picked out in gold, it has now been reinstated as the original shop sign. A simple palette of materials is used at the rear; oak slats, rendered woodfibre and lime mortar to retained brickwork.